Barack Obama is still a mystery to me. Reading this book really didn’t answer much about the man who will likely be our president for the next 4 years to come. Barack Obama was born and raised in Hawaii with a short spell in Indonesia since his mother married and divorced an exchange student from Kenya and then Indonesia. He never really gets to know his father, a brilliant exchange student sent by the government of Kenya to study at the University of Hawaii and later Harvard. In fact, Barack Obama junior only remembers meeting his father once, when he was 10 and no more. Even though Hawaii is more racially diverse than most other states, Barack faces difficulties being black and gifted. He is not really African-American in that he doesn’t share the same cultural history of slavery and emancipation yet he will never be part of white America though the white side of his family are the ones that raised him. He continues to excel in school even as he dabbles in drugs and never quite quits chain-smoking. After graduating from Columbia, after transferring from Occidental, he works as a financial writer for a spell before becoming a community organizer in Chicago and finally returning to Harvard to attend law school and eventually return to Chicago. 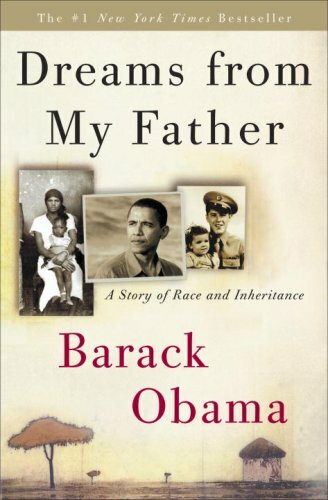 Throughout the book, Obama is constantly searching for his true identity, revisiting Kenya as an adult long after his father was dead, having fallen from government favor and finally regaining some of his prestige before dying in a car accident, working to organize the mostly African-American citizens of Chicago’s housing projects. In the process of staking out his own personal identity, he becomes a community leader much like intelligent people fighting their own personal demons may end up being clinical psychologists to those needing more help than themselves, a sort of reverse therapy. The book is strikingly honest in many respects, at least in the frankness of tone for we have nothing to cross check it against. Yet at the same time, you still walk away feeling a little empty. The book is quite rough to say the least, a first-time author’s foray into writing, but readable. However, it does raise one important question about American society and that is, does the myth of the American melting pot hold true against individuals like Obama who are displaced by the artificial racial divides ingrained into American life? And your concluding question seems muddled. It’s not clear to me, when you call it the “myth” of the melting pot, how then it could/would be held against Obama. If the melting pot is real, then Obama is a clear example how it does work. If the melting pot is a myth, then I’m not sure it can be held against him. Also, Obama’s personal story has been pretty throughly vetted by the Chicago press. A good single-source place to look is “Obama: From Promise to Power,” by David Mendell, a former Chicago Tribune writer. You certainly do have a good point on the concluding question. I should have elaborated more, as you say, it is working in a macro sense but what I meant to say is that it’s kind of sad that Barack essentially gets assimilated into a larger group rather than striking it out on his own. I do plan on reading the Audacity of Hope soon though I’ll skip on “From Promise to Power” as we’ll likely see what the man is made of in the near future and much more will be revealed by future biographies. Thanks for the quality comment. This book wasn’t even written by Obama. It was ghost-written by none other than Bill Ayers. Really? It wasn’t even all that well written.